The Death of Superman epic back in the early 1990s made waves around the globe – such is the place of the Big Blue Boy Scout in popular culture that the story went far beyond the comicsphere into the mainstream media. As with last year’s animated Death of Superman from Warner Animation and DC, this is an animated take on those early 90s comics that followed the loss of Superman, the world coping with his loss, and the appearance of four new Supermen trying to claim the mantle of the red cape. The world is still mourning the loss of its mightiest protector, and on a more personal level we see the impact on Lois Lane, grieving for Superman/Clark Kent, with Clark’s adopted human parents, none of them able to tell anyone that Clark (officially listed as missing in the disaster of the Doomsday attack in the previous film) was actually Superman. In the editorial meeting room of the Daily Planet Perry calls each journalist for their input on a new story before calling for Clark’s take, only for them all to pause and remember he’s not there anymore. It’s just a moment, but a good one, reminding us that in his human guise Clark had friends and they are having trouble dealing with his loss. Lois hasn’t been into the Planet since Superman’s death, but we all know that Lois is tough and resourceful, and she decides to fight through her grief in her own style – by going out and doing what a good journalist does, asking questions and digging behind the scenes. She wants to know who these mysterious four new Supermen are – the vicious Eradicator who targets anyone he considers criminal and is prepared to kill, unlike the real Man of Steel, the teenage Superboy (a cocky young lad), a cyborg Superman and an armoured man who calls himself Steel and wears the S symbol in honour of his fallen hero. As with the previous Death of Superman, this follows the original comics for most of the narrative, with some changes here and there (which I have to say worked better for the pacing of a film). Lois calls on Diana as she begins her investigation – Diana is relieved to find she hadn’t come to grieve with her, commenting “Thank Hera! Despite my reputation I’m not so good at the touchy-feely!”. She adds that she’s not always great at this kind of thing, not having had many girlfriends, and hard-working Lois nods that she knows that feeling. There’s a nice feeling of the two bonding more here, which is picked up again later. 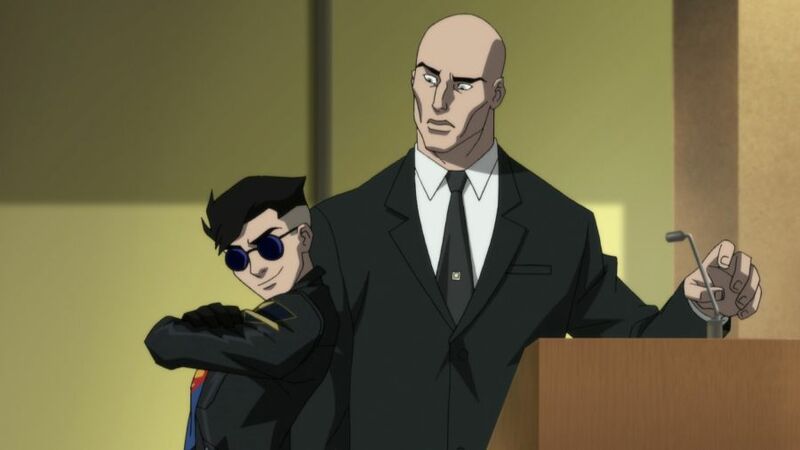 Diana and the Justice League don’t know anymore about the new Supermen than Lois though, and are just as concerned about them – who they are and what their real agenda may be. So Lois continues her digging, soon discovering more about each of them – I won’t reveal too much about what she finds out here, as that would be venturing a little too far into Spoiler Country. And yes, I know many of you will know much of this story, having read the original comics from the 90s, but these animated films are also clearly aimed to embrace new fans (and perhaps younger ones too) who may not know those stories yet, so I won’t risk the possible spoilers. 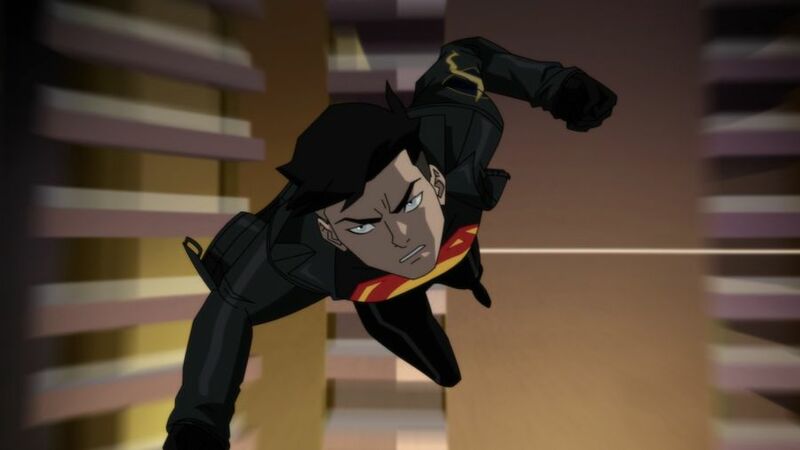 I will say thought that this, like the preceding Death of Superman animated film, is a nicely-paced piece – from a serious, brooding atmosphere of loss over Superman at the start it is only a short time into the story before we get our first super-powered brawl with Superboy and the Eradicator, which quickly spirals into a four-way slugfest as Steel and the Cyborg Superman arrive on the scene. They don’t hang about here, set things up, establish some emotional atmosphere and then pow, right into some serious action. Looking back I think the live action films could learn a bit from the pacing here – Batman Vs Superman could have been much better with sharper pacing and editing like this, for instance. Despite the themes of grief and loss following Superman’s death, for the most part this is actually a great ride – lots of action, delivered frequently throughout, and some nice character moments, Perry uttering his trademark “Great Caesar’s Ghost!”, which made me chuckle, Green Lantern (Nathan Fillion) regarding the Cyborg Superman and asking the Justice League’s Cyborg to talk to him (“what, you think all cyborgs know each other??”). And that aforementioned bonding between Lois and Diana also includes the girls enjoying an ice-cream together (yes, Wonder Woman eating ice-cream, sweet, funny and also a nice nod to the scene in the live-action WW movie), and we even get to see Diana do the “twirl” Lynda Carter style. 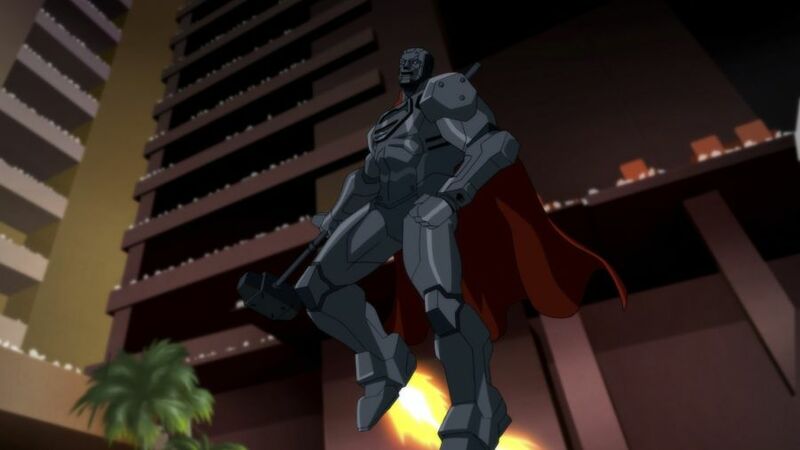 There is some great voice talent to enjoy here too – Serenity’s Nathan Fillion as Green Lantern, Rosario Dawson as Wonder Woman, Sliders’ Jerry O’Connell voicing the various Supermen, X-Men’s Rebecca Romijn voicing Lois and genre fave Tony Todd lending his voice to the villainous Darkseid. 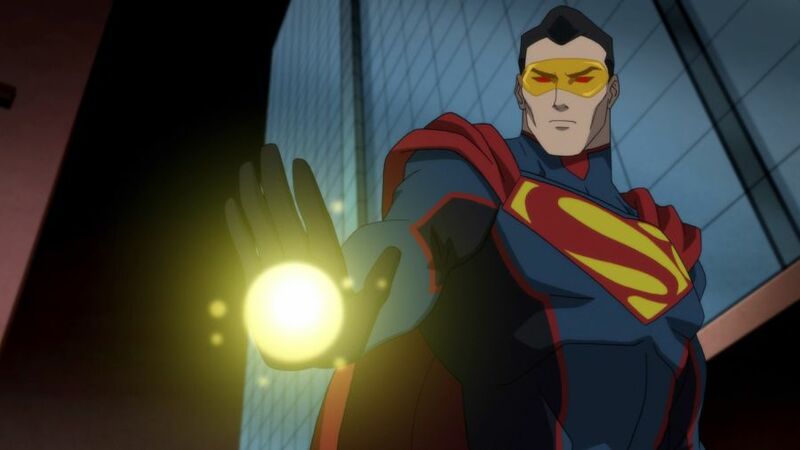 The animation style is clear and dynamic, the style and the story perfectly suitable for younger fans as well as the grown-ups, and it and the previous film offer a nice take on a classic 90s Superman story-arc for older fans but especially for newer, younger fans too – or better still, watch it together with your little superheroes! And do stick to the end for a post-credit sequence (a hint at another animated film to come? ), while this sharp Blu-Ray also comes with several extras. 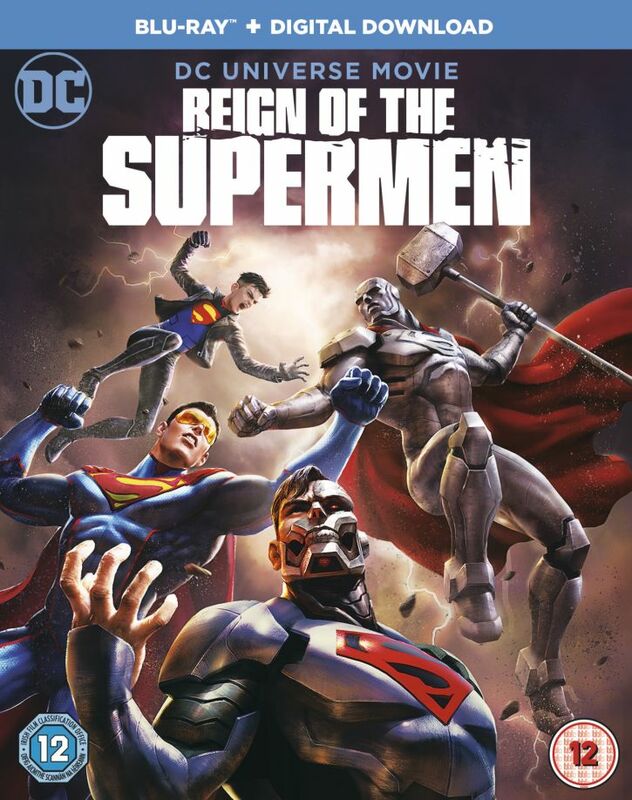 Reign of the Supermen is available now on DVD, Blu-Ray and On Demand. 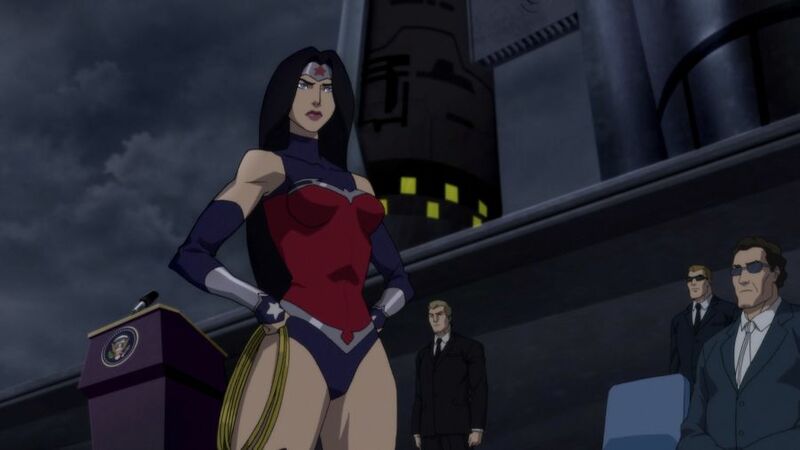 This entry was posted in Comics, film, reviews and tagged animation, Comics, DC Comics, film, Reign of the Supermen, review, reviews, Superman, Warner Animation, Warner Bros, Warner Brothers by Joe. Bookmark the permalink.